It has been cold, rainy and stormy around these parts, and what better time to break out the rain gear?! Below are the La Petite Peach, Editorial team’s favorite rainy day accessories. 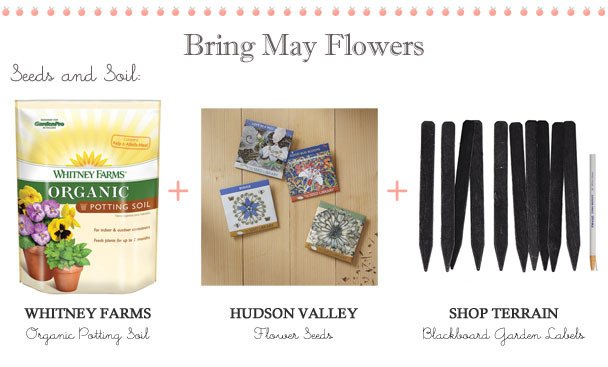 Also, don’t forget, April’s showers brings May’s flowers! I have started a little garden outside, and in a week or so I will begin to plant. Check out my favorites from Terrain and more! 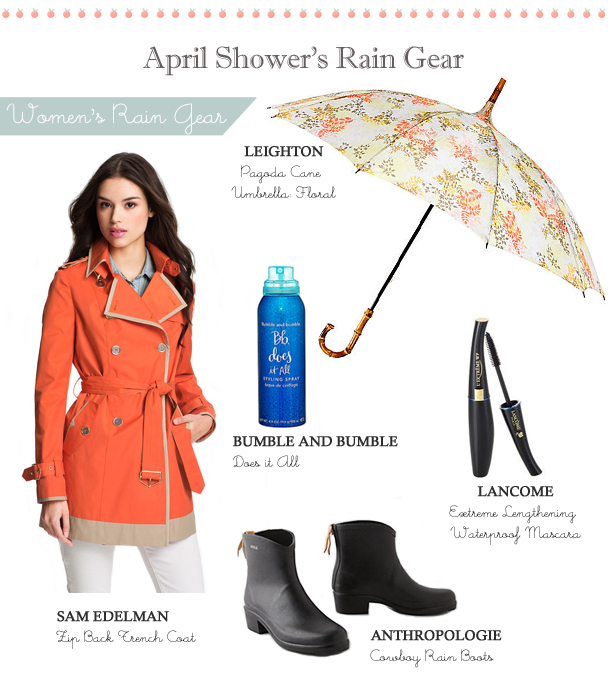 Sam Edelman: Zip Back Trench Coat, Leighton: Pagoda Cane Umbrella, Floral, Bumble and Bumble: “Does it All,” Anthropologie: Cowboy Rain Boots, and Lancome: Extreme Lengthening Waterproof Mascara. 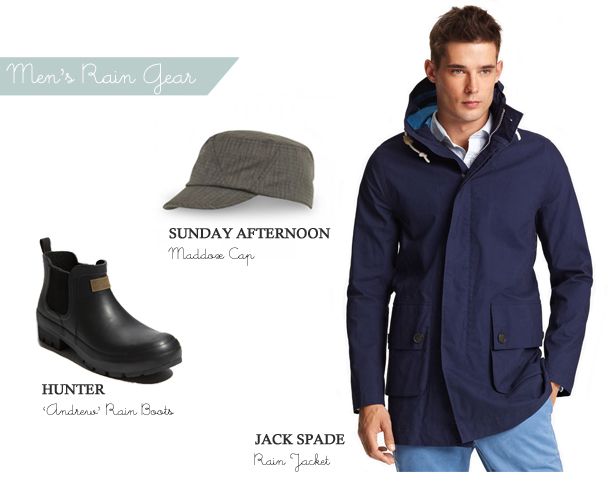 Hunter: “Andrew” Rain Boots, Sunday Afternoon: Maddox Cap, and Jack Spade: Rain Jacket. 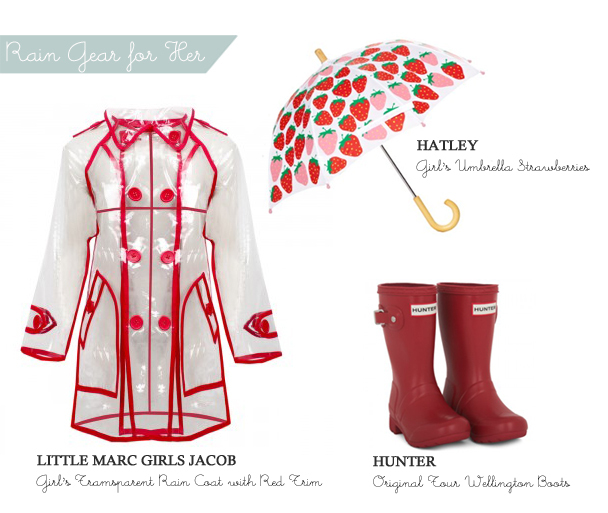 Little Marc Girls Jacob: Girl’s Transparent Rain Coat with Red Trim, Hatley: Girl’s Umbrella Strawberries, and Hunter: Original Tour Wellington Boots. 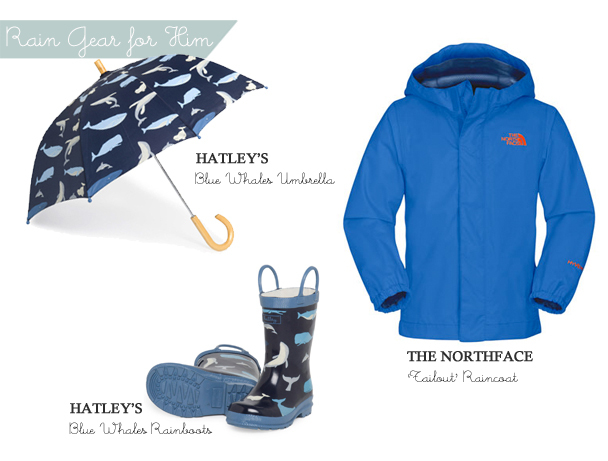 Hatley’s: Blue Whale Umbrella, and Rainboots, and The NorthFace: “Tailout” Raincoat. 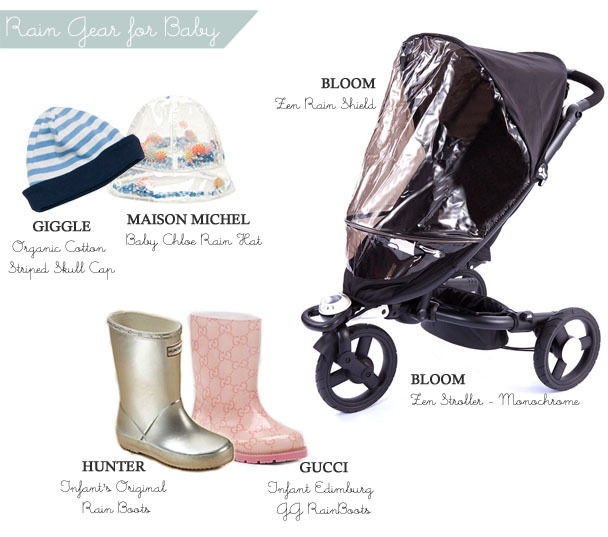 Giggle: Organic Striped Skull Cap, Maison Michel: Baby Chloe Rain Hat, Hunter: Infant’s Original Rain Boots, Gucci: Infant Edinburg GG Rain Boots, Bloom: Zen Rain Shield and Bloom: Zen Stroller-Monochrome. Whitney Farm: Organic Potting Soil, Hudson Valley: Flower Seeds, and Shop Terrain: Blackboard Garden Labels. 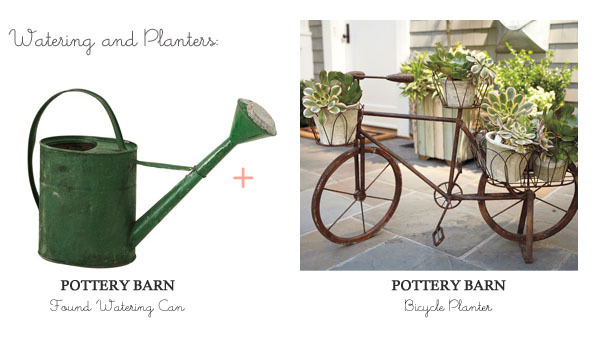 Pottery Barn: Found Watering Can and Bicycle Planter. 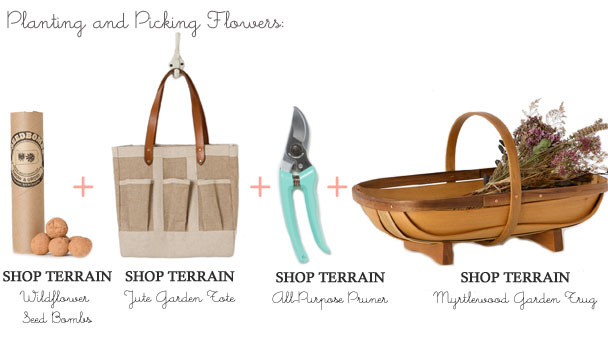 Shop Terrain: Wildflower Seed Bombs, Jute Garden Tote, All-Purpose Pruners, and Myrtlewood Garden Trug. 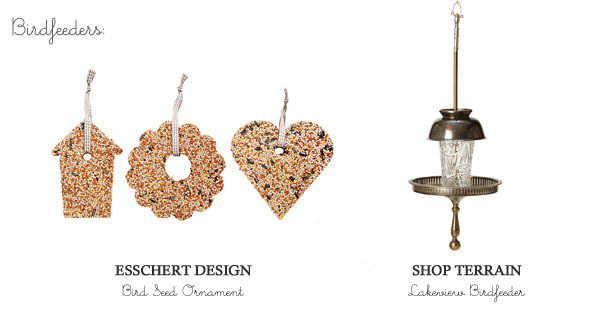 Esschert Design: Bird Seed Ornament and Shop Terrain: Lakeview Birdfeeder.